His Holiness Pope John Paul II erected the eparchy of Thamarassery on April 28, 1986 by the Apostolic Constitution ?Ad perpetuam dei memoriam? bifurcating the diocese of Tellicherry. The eparchy consists of two revenue districts of Kozhikode and Malappuram, in the Northern part of Kerala. The Catholics of this diocese are the migrants from the central part of Kerala. 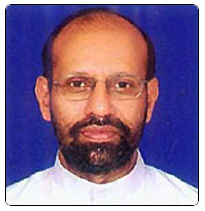 Mar Sebastian Mankuzhikary, the then auxiliary bishop of the Archdiocese of Ernakulam, was appointed as the first Bishop of Thamarassery by the Apostolic Constitution Pro munere nostro de singulis. The eparchy of Thamarassery was formally inaugurated and the Bishop took charge of the eparchy on July 3, 1986, on the feast of St. Thomas, at the Sacred Heart Church, Thiruvambady. On June 11, 1994 he was called for the eternal reward. On June 14, 1994 Msgr. 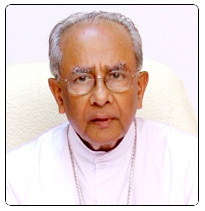 Francis Aruparayil, the then Protosyncellus was appointed administrator of the eparchy. Mar Jacob Thoomkuzhy the Bishop of Mananthavady was appointed Bishop of Thamarassery on June 7, 1995 and took charge on 28th of July the same year. He was nominated Archbishop of Trichur on November 11, 1996. 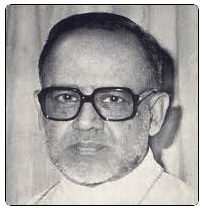 Mar Paul Chittilapilly, Bishop of Kalyan, was transferred and was appointed Bishop of Thamarassery on November 11, 1996 and took charge of his office on February 13, 1997. When he submitted his resignation in 2009, Mar Remigiose Inchananiyil, native of Thamarassery diocese was nominated bishop on January 18, 2010. He was consecrated on 8th April, 2010 and took charge on the same day as the 4th bishop of the diocese .